Top Five Best Nextbase Dash Cams For 2019 - Which? 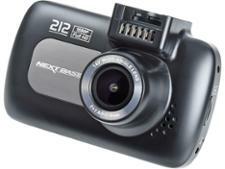 The best Nextbase dash cams capture excellent footage. 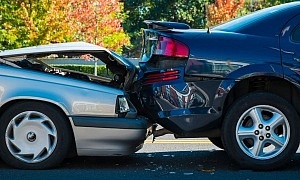 The worst could leave you helpless after an accident. Be sure to make the right choice. UK-based Nextbase currently has 10 dash cams on the market, ranging from entry-level models priced at around £30, right through to advanced systems costing up to £200. Nextbase devices offer plenty of different features. Standard options include night-time vision and file protection. Models with GPS will record where you were and how fast you were travelling – good to prove you were driving safely, should you need to. Advanced features include 4K recording, polarising lenses to stop glare, and double cameras for more than one view. Cost isn't always an indicator of quality, though, and there are also some real duds you should avoid. Only Which? 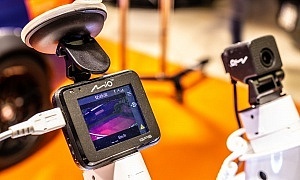 testing goes to the extensive lengths needed to definitively say whether a Nextbase dash cam will keep you safe - both on the road and in the court room. Our bespoke test programme covers every aspect of each model to create the most detailed dash cam reviews on the web. We can help you choose an excellent Nextbase dash cam and avoid the disappointing ones. In the table below, we reveal the best Nextbase dash cams from our testing, with models to suit different budgets and needs. This Nextbase dash cam has a raft of impressive technology under the bonnet, including a 6G lens, 140-degree wide-angle view, and built-in wi-fi so you can view your footage on the go. It's affordably priced, too. 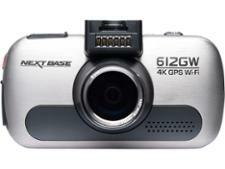 This is one of Nextbase's newer range of dash cams. Priced at less than £70, it's definitely a cheaper option than other big-name models. It also features the combination of features and footage to make it worth buying. It's getting on a bit now, but that hasn't affected its standing with us. Cheaper than ever, this is a great choice - but it may not be around much longer. 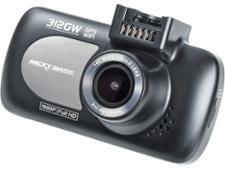 This is an excellent dash cam and is the ideal companion if you have a crash. It offers crisp and clear footage, plus plenty of useful features, including GPS tracking and parking mode. Pricing, recommendations and test scores correct at July 2017. Not found the product for you? Browse all of our dash cam reviews. Nextbase may have produced some top-notch devices, but even Britain's most popular brand isn't perfect. With most models having such similar looks and names it can be surprisingly easy to pick up a dud. Make sure you don't opt for any of these Don't Buys. This model is Nextbase's cheapest offering in the dash cam market. As a brand usually known for its higher-end models, can this budget dash cam compete with the best out there? We sent it to our test lab to find out. How much do Nextbase dash cams cost? Nextbase is undoubtedly one of the more 'premium' brands in the dash cam market. It's prolific, storied, and made in the UK - as a result, prices can get pretty steep. One model costs as much as £200. When Nextbase releases a new, top-of-the-line model it usually costs around the £150 mark, though. There are then some cheaper, less advanced, models that cost as little as £30. The brand's prices aren't immune to fluctuation or sales, either - it can sometimes be worth waiting for prices to come down, if you can. That's quite a large spread, and it's rare to find a dash cam either more expensive than the most expensive Nextbase model, or cheaper than the cheapest one. Knowing what to look for in a Nextbase dash cam can be tough, primarily because of its naming conventions. Every dash cam released by Nextbase shares the 'iN-CAR CAM' prefix, be it cheap or expensive, feature-rich or basic. The confusion can be alleviated slightly if you look at the number used in the dash cam's name. The iN-CAR CAM 101 Go is the cheapest Nextbase we've tested, while the iN-CAR CAM 512G Ultra is the most expensive single camera we've tested from the brand. The price of the numbers in between tend to scale with their name - however, it's important to remember that price is no indication of quality. If you're looking for other products from Nextbase to get a feel for the brand there isn't actually much else to see. 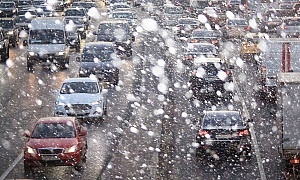 Dash cams are the company's bread and butter, with only a few in-car TV-DVD combis, some wireless headphones and various mounts to its name otherwise. Right now you won't find Nextbase anywhere else on our website.